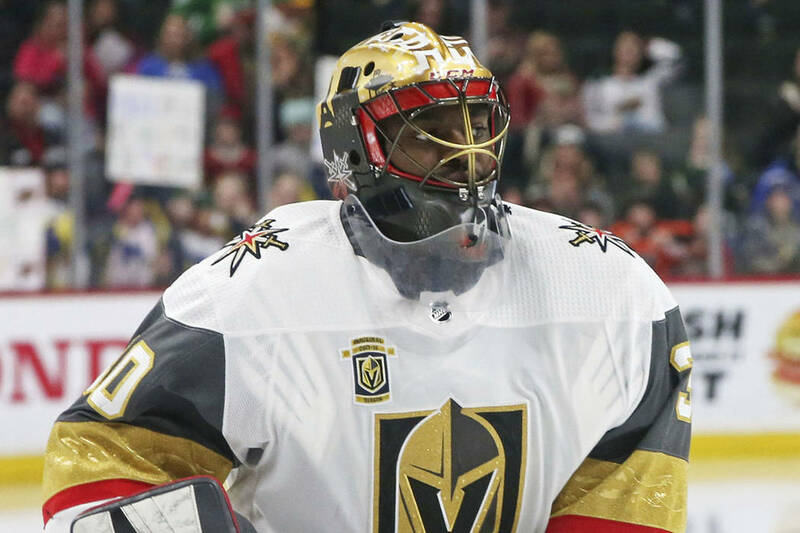 Malcolm Subban’s mysterious upper-body injury could sideline the Golden Knights’ backup goaltender for the remainder of the current homestand. 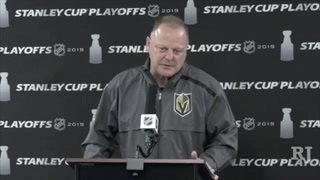 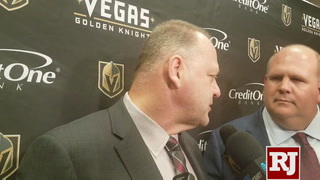 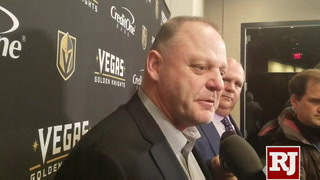 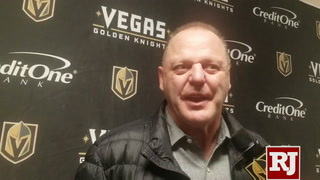 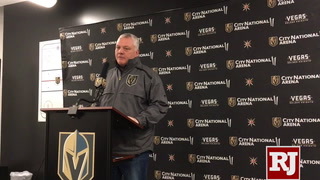 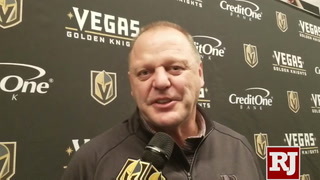 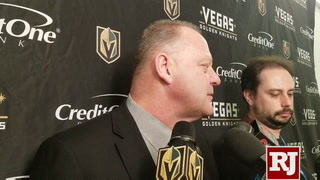 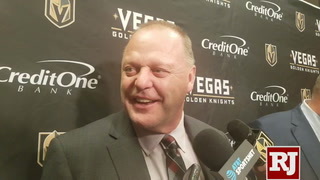 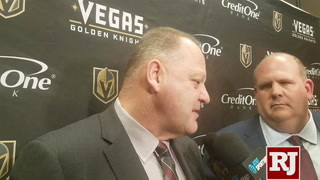 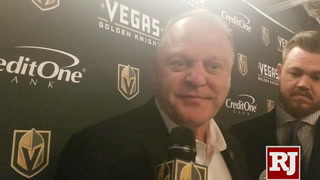 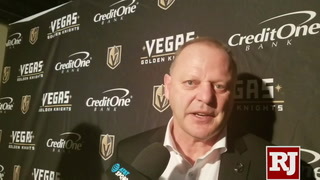 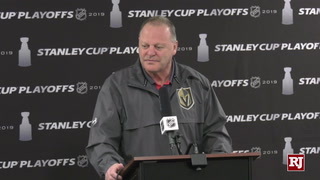 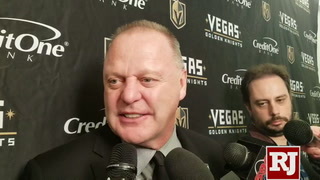 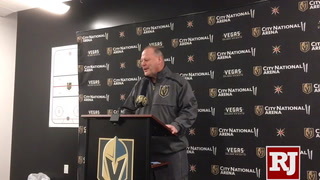 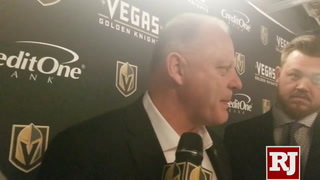 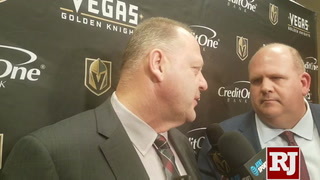 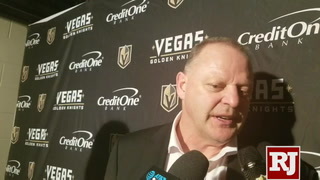 Coach Gerard Gallant said Subban is “week to week,” as he was placed on the injured-reserve list Monday after practice, according to the roster on the Knights’ official website. 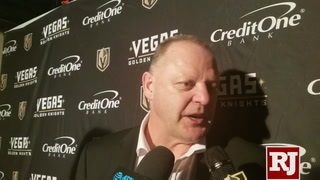 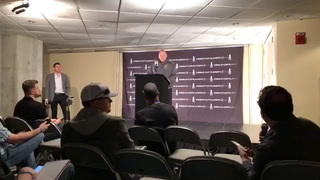 Gallant told reporters Saturday that Subban was injured during “the morning skate” on the team’s most recent road trip, presumably Thursday at San Jose. 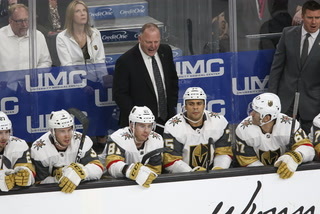 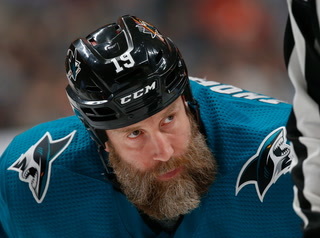 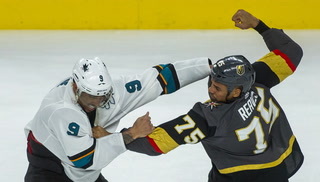 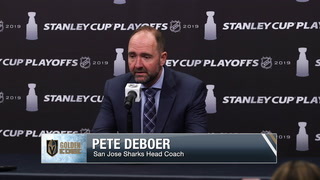 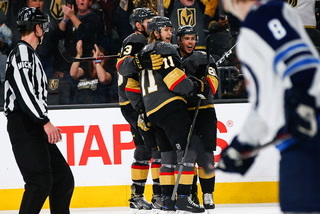 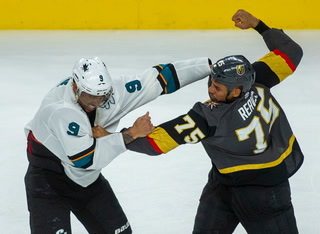 But Subban dressed and was listed as the backup for that game, leading to speculation he was injured following the 5-3 victory over the Sharks or during the Knights’ off day Friday. 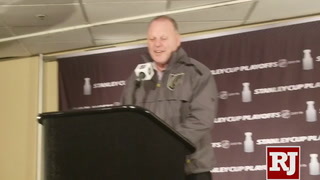 Subban did not practice Saturday and was scratched for Sunday’s loss to Philadelphia. 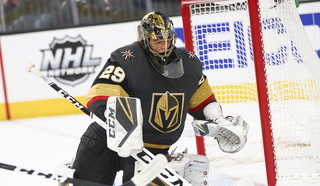 Marc-Andre Fleury will start in goal against the Chicago Blackhawks on Tuesday at T-Mobile Arena, Gallant said. 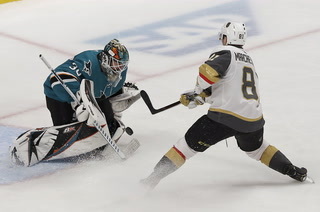 Maxime Lagace will serve as the backup, and Gallant added that Fleury is expected to get most, if not all, of the starts with six games remaining on the homestand. 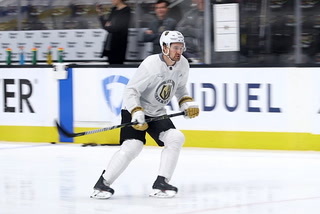 Injured defensemen Jon Merrill and Luca Sbisa returned to practice Monday and wore noncontact jerseys. 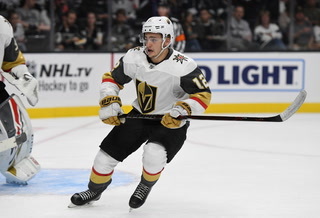 Sbisa was expected to miss six to eight weeks after he underwent surgery on his left hand for a ruptured ligament suffered Jan. 5 at Chicago. 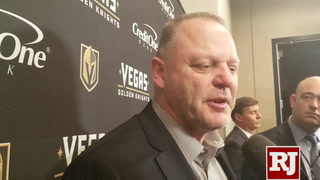 “I don’t know their timetable, but they’re both real close,” Gallant said. 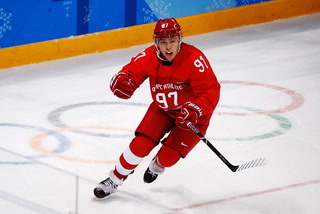 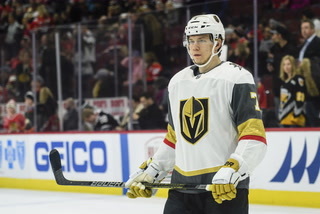 Also, forward Paul Thompson did not practice Monday and was assigned to Chicago of the American Hockey League. 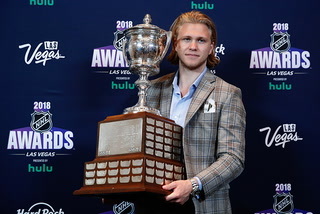 Knights forward William Karlsson was a popular figure at practice Monday. 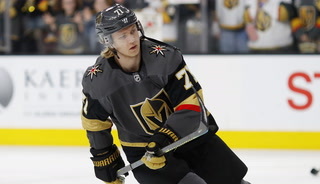 Eighteen travelers from Karlsson’s native Sweden descended on City National Arena wearing custom-made Karlsson jerseys that were half Knights, half Swedish national team. 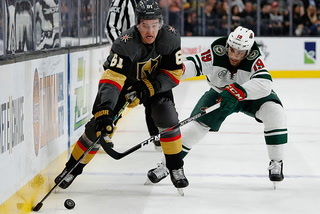 The fans watched Sunday’s game at T-Mobile Arena and met Karlsson after practice Monday. 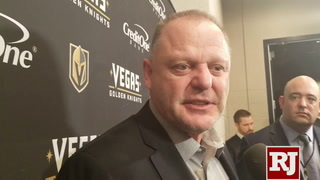 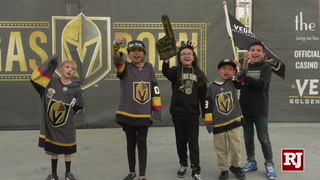 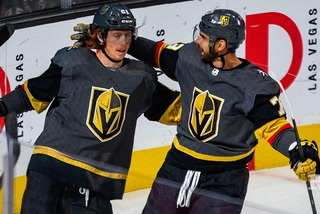 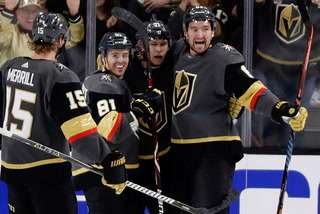 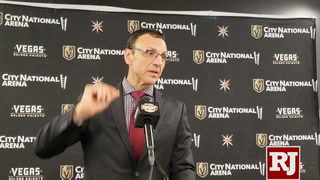 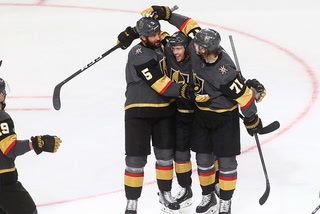 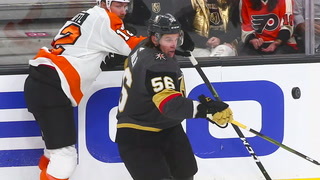 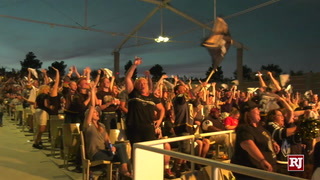 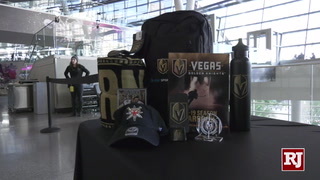 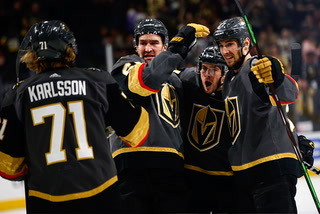 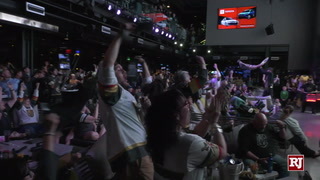 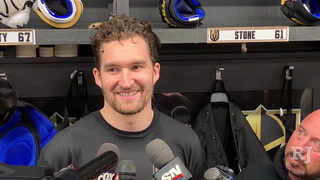 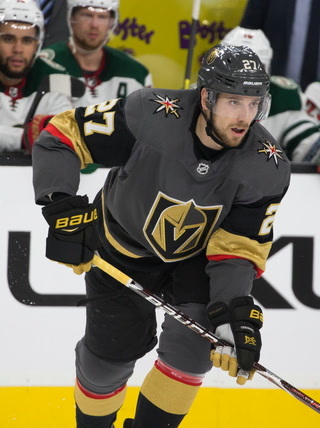 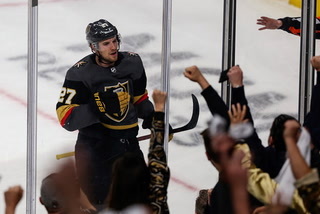 Organizer Eskil Norstrom said the group takes a trip every other year and added a stop in Las Vegas to support Karlsson, before heading to Arizona to cheer on the Coyotes’ Swedish defenseman Oliver Ekman-Larsson.